15x7 Spec Miata 6UL - Miata Turbo Forum - Boost cars, acquire cats. 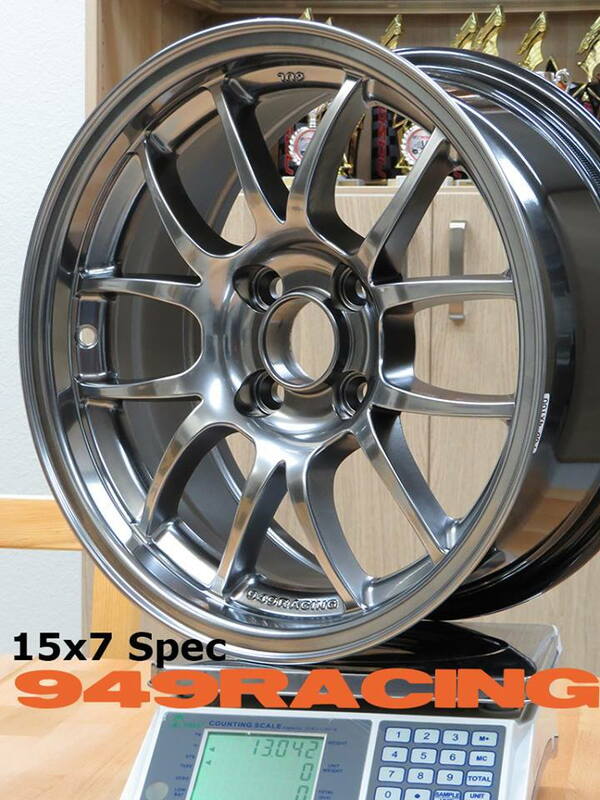 First production batch of our 15x7 +24 Spec Miata 6UL just arrived. First wheel we pulled out of a box and threw on a scale, 13.042 lbs. Money! We spent a little extra on these to get be able to hold a very tiny weight tolerance, tighter than is typical with cast wheels. We also offer the same wheel in a Spec E30 offset and hub center. Are the spokes on gen 4 wheels thicker than previous versions? Last edited by emilio700; 12-23-2015 at 12:00 PM. Will these work well with the new 245 VR-1s? We recommend 15x6 for that tire. isn't max offset for SM +25? There is no max offset, only a max trackwidth which we make with a little room to spare. I thought they looked slightly different but it's kinda hard to tell from a picture.